There were many highs in 2017 for Super Eagles striker, Olarenwaju Kayode but unfortunately the year will be ending on a sour note as the player has cupped an injury set to rule him out till 2018. Olarenwaju was conspicuously missing on Monday night as his Spanish team, Girona fumbled in their La Liga clash against Alaves. 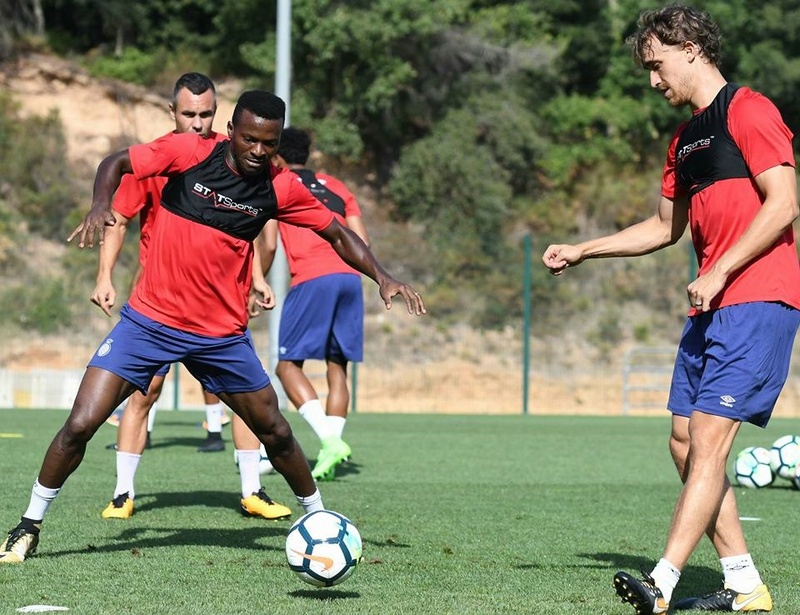 The Nigerian striker is down with a muscular injury and has been ruled out for three weeks, according to Girona’s official website. Kayode has made 10 appearances for Girona in the LaLiga this season (two starts and eight substitute appearances). The 24-year-old striker who finished as the top scorer in the Austrian Bundesliga last season is yet to open his goalscoring account in Spain. Girona, who are campaigning in LaLiga for the first time ever in their history, are presently occupying the 12th position with 17 points from 14 games.